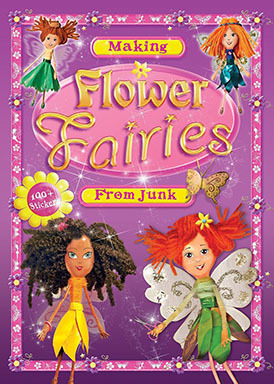 This is a PDF version of the book that can be viewed on your computer or mobile device. 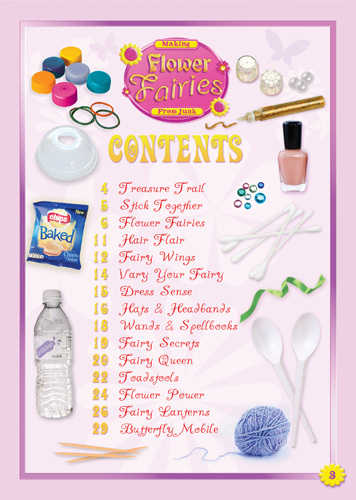 Includes printable copy of the sticker sheet. 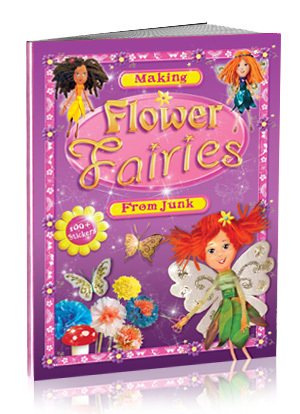 Make magical flower fairies from household throw-aways. 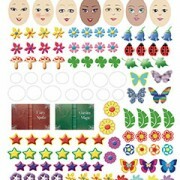 A4 sticker sheet with faces and wing decorations. 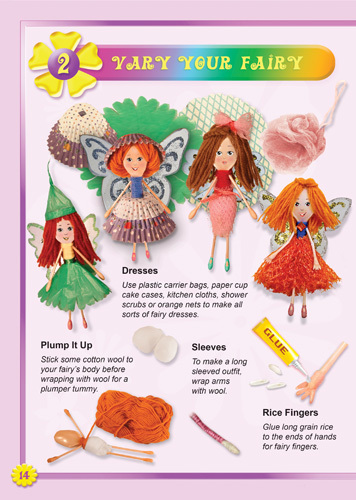 Inspires creative minds and hands as well as promoting reuse/ recycling. 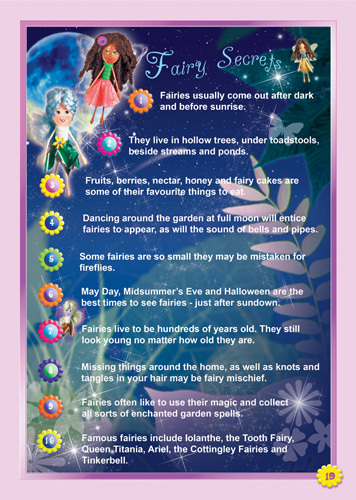 Using easily found recycled parts from around the home, ‘Snips’ the fairy demonstrates how to make fairy friends, toadtsools, fairy lanterns and garden creatures. 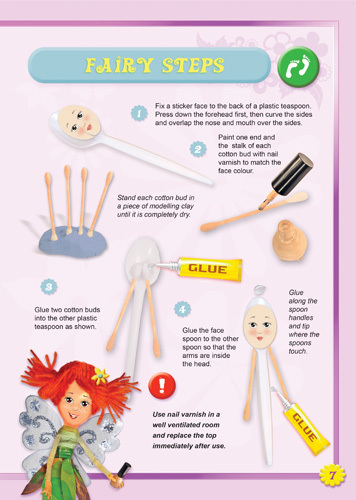 Each section shows clearly what to collect, which tools to use, and how to add decoration. 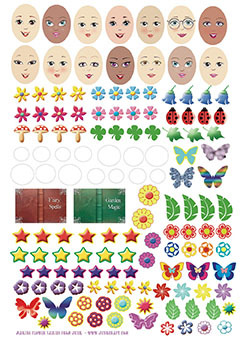 Stickers in the back include fairy faces and sparkling shapes, designed to add magic to fairy wings and dresses.